Scientists recently made old cells “young” again using a new technique to make the cells regrow their telomeres, the protective ends of our chromosomes that naturally shorten with age. Although the cells were only grown in a petri dish and not implanted back into a person, the study marks a major step forward in controlling, and even reversing, the cellular aging process. In order to understand the significance of the research, it's important to first understand what telomeres are and what role they play in our overall health and the aging process. Telomeres are the protective caps of our chromosomes, and help the chromosomes stay together during cell division, News Medical Net reported. Cell division occurs constantly, and as a result, telomeres will naturally shorten over time due to this stress. Other behaviors and life experiences can also lead to telomeres shortening, such as early childhood stress. 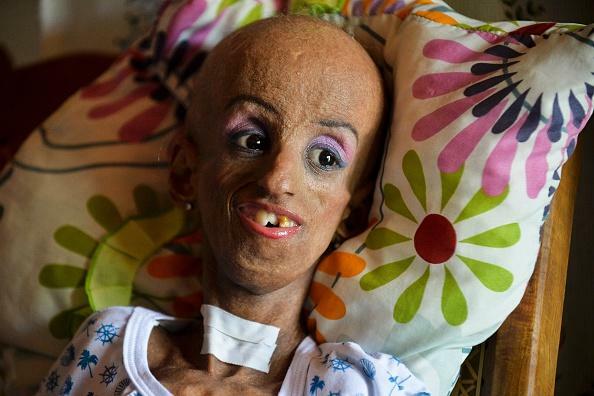 Cells used in this study were derived from children with progeria, which, according to the Progeria Research Foundation, is a very rare fatal genetic disease that causes cells to age at an advanced pace. By the time these children are 14, they can die from conditions associated with old age, such as heart disease. The findings, though exciting, are still premature; the research likely won't lead to any real-life applications anytime soon. The age-reversed cells were not implanted back into people, which means that we aren’t sure if the age-reversal can last or what implications it may have. In addition, while telomeres are associated with aging, the correlation is not exactly perfect, as some older individuals can have longer telomeres than younger people. So, it could be that telomere extension may work in theory, but in reality, has little or no effect on our health. Lengthening telomeres could also have some serious consequences, such as increasing cancer risk, Dr. Peter Lansdorp, a professor of medical genetics at the University of British Columbia and scientist at the BC Cancer Agency, told Motherboard. "As a physician, many of the diseases I see are due to aging. It's a major risk factor for heart and vascular diseases," explained study author John P. Cooke, Medical Xpress reported. "About a third of the people in this country succumb to strokes and heart attacks. If we can fix that, we'll fix a lot of diseases." More research needs to be done to confirm that this telomere lengthening can be repeated in living models. However, the results are exciting, and suggest aging isn’t as inevitable as we all think.